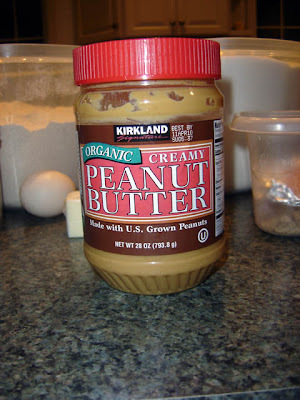 Cream together butter, sugars, and peanut butter. Add egg and beat. 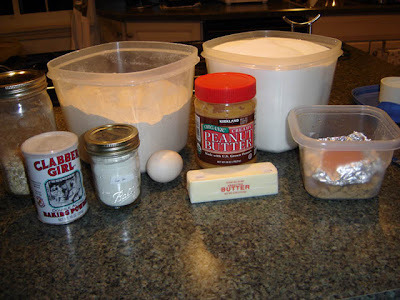 Add flour, baking powder, and salt, combine. 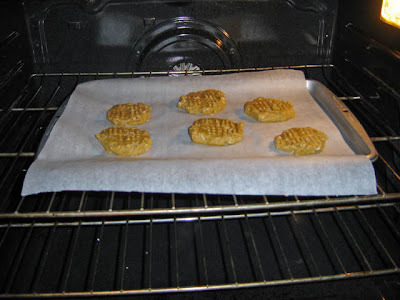 Gently fold in oats. End result? 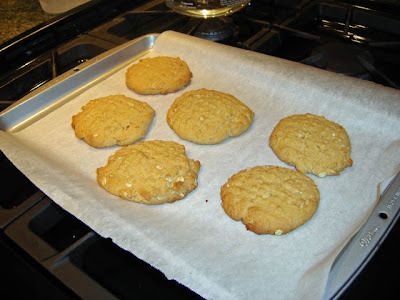 Yummy, chewey peanut butter cookies with a crisp edge, just how I like them!